"Staying organized is so much easier with Adobe Bridge." Using Adobe Bridge I can quickly organize, rename, and even color code image files. Before I started using bridge my work files were always a mess. I didn't ever maintain an organized method of naming and categorizing the images I use in my designs. There's absolutely no negatives to this software, it's just a bonus, if you are already using Photoshop why wouldn't you want to make things easier on yourself and keep all you image files organized with Bridge? A lot of designer I have work with skip this program, don't do it. It's so much easier to keep all your image files in order with Adobe Bridge. Adobe Bridge saves me so much time and stress, I'm not the most organized person usually but it's really important for me to be able to work quickly and keep things in order. Adobe Bridge is perfect for this job. "Great way to keep everything organized and well managed"
Hot-folders would be a nice addition for batch operations - more custom layouts. It can be a resource hog if you leave it open for too long. Sometimes I would experience a glitch where If I was moving files, it would close and completely delete the folder I was in - never able to recover the data. When using bridge with other Adobe applications - the experience is seamless: especially with the new 9.0 update in 2018. I use this for the most basic functions, recommending XNView for more advanced features such as similar image data look-ups and batch ImageMagick like functions. When working for below company, using the "advanced search" tool and "show items from sub-folders" to find only certain file types is a life saver. Being able to grab from multiple directories and move a mass amount of data for organizing is crucial for me. What Photo Management solution do you use? "Lo mejor para buscar archivos en MAC"
Me encantan las capacidades de visualización. Si eres un usuario de Mac, sabes lo molesto que puede ser cambiar de vista mientras buscas en tus archivos, sin embargo, Adobe Bridge resuelve ese problema. Puedes ver todo de cualquier manera posible. Realmente disfruto mirar miniaturas grandes ya que sé que puede ser molesto ver a través del buscador típico. Lo único que no me gusta para cuando el programa es la imposibilidad de ver los archivos de After Effects y Premiere Pro. Puedes ver los grandes íconos pero no su contenido, sería si pudieran crear la posibilidad de abrir una pequeña revisión del archivo incluso en imágenes, esto ayudaría mucho a diferencia de tener que abrir directamente el software y ver el contenido del video. Confío en que las versiones futuras de Adobe Bridge resuelvan este pequeño defecto. Viene en el paquete creativo de Adobe así que si lo tienes ya, no cuesta nada probarlo. Si trabajas como diseñador, adobe bridge hace que tu trabajo sea muy fácil, especialmente cuando necesitas encontrar una o varias fotos específicas ¡y las etiquetas para ese propósito! ¡ni siquiera menciona la función de catálogo! ¡hace maravillas para ti! "Edición y Diseño de Imágenes"
Primero de todo es que la aplicación es gratuita y esto favorece mucho a nuestra empresa proporcionando un gran aporte gracias a Adobe. Es ideal para poder ver muchas fotos una al lado de la otra. Necesitamos hacer esto todo el tiempo para elegir las mejores fotos para mostrarles a los clientes, de modo que no estén buscando cientos para elegir. También es ideal para procesar imágenes en bruto que tenemos que hacer para cada sesión de fotos. Seleccionamos las mejores fotos utilizando el sistema de estrellas . Abrir todas las imágenes a la vez y elegir procesarlas individualmente o en grupos. También me encanta la función de cambio de nombre por lotes. Eso es útil para cambiar el nombre de toneladas de imágenes cuando las ponemos en nuestro sitio web. Usa mucha Ram, puede hacer que el ordenador se vuelva realmente lento si hay más programas abiertos al mismo tiempo. También puede moverse lento por sí mismo, si estoy procesando imágenes , no puedo guardar las imágenes y el proceso al mismo tiempo. Tengo que procesarlos a todos y luego guardarlos, lo que desperdicia tiempo porque entonces simplemente estoy sentado sin hacer nada mientras guardan, lo que también lleva un poco de tiempo. Cuando un vendedor entra para analizar un proyecto, puedo obtener una vista previa de todos los archivos que se están considerando antes de comprometerme a abrirlos todos en Photoshop, ahorrando tiempo y recursos de la computadora. No tenerlos todos abiertos a la vez es genial. "Perfect for previewing large image files and PSDs "
I've found this is the best way for me to be able to preview the large image files, PSDs, etc. that our graphic designers and photographers send over for review. Bridge allows me to preview these files in a grid view/thumbnail view without having to open each individual file. This is also a great way for me to rate images on a 1-5 star scale within Bridge then sort by star rating. When Bridge works, it's great. When it doesn't, it's extremely frustrating. I find that it crashes quite a bit when loading previews to very large images and the load times can be really long. It also can take a long time to cache folders if you're doing a search. For example, now that we're adding more metadata to the files such as keywords, the search function can take a really long time to perform it's job. Or I've even had the program crash before when trying to do a simple search. But like I said earlier, when it works, it's great. When it doesn't, it's extremely frustrating. If you're using Windows Explorer or something similar to preview photos, PSDs, and other Adobe file extensions, Adobe Bridge will save you so much time! Bridge allows me to preview preview the large image files, PSDs, etc. that our graphic designers and photographers send over for review. Now that I don't have to open each individual file, it saves me a lot of time. We've also been taking advantage of the metadata fields recently. "Great organization resource for your adobe content"
I love the ability to rename multiple files at once that Adobe Bridges give you. It is also helpful for categorizing, editing metadata, and keeping all your content organized. As with most adobe software, there is a learning curve to overcome to be able to best utilize the software. Videos or personal instructions will give you the best results. I recommend giving this software a try if you utilize other Adobe products or work with a lot of metadata editing, or need to batch edit large amounts of files. 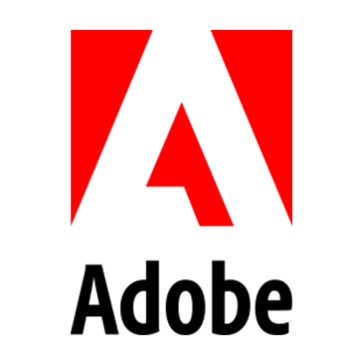 As with all Adobe software, it helps if you have some previous experience within the Adobe ecosystem of software, and if not, you may require some training. Organization and customization of photo and Adobe content storage options. Has helped to keep all of my files easy to find and sorted. "The only thing that does this perfectly"
I can preview files that the default Windows File Manager can't. I can tag items. It's basically the File Manager on steroids with PDF previews, etc...I have not found a replacement yet anywhere. (I've looked). You are actually able to use this tool without an Adobe subscription. Can be laggy and slow. Hogs start up time if not disabled. The only thing that comes close to Adobe Bridge is the Mac OSX Finder, but Windows has no competent alternative, and I have tried and failed finding open source software for this purpose on Linux. - Previews files, can choose which one I want to work with fast, especially PDFs, SVGs, and other Vector files. - Quick view without opening heavier applications. "Organization of Visual and Audio Assets"
I like that I can use Adobe Bridge to organize all my visual and audio assets, that I have in various places like my external and internal hard drives. I find that some files are not indexed properly by Adobe Bridge, and I have checked the files and they are not corrupted. If you give all your files titles from day 1, it will help you as you will be able to search for them. I find it useful to be able to search and order by length and titles, and sometimes other metadata. It has found files that I could not find in My Computer. It's great for reviewing and rating a lot of photos at once, and it's free with any Adobe CC account. Clunky user interface, quite slow and leads to a lot of crashes. It doesn't have a lot of features, so I'd almost always recommend Adobe Lightroom, which has the same basic features but allows you to do a lot of editing right in the software. If you want a simple, straightforward file sorting program, and plan on doing all of your editing work elsewhere, Bridge is a good choice. However, consider Adobe Lightroom as more feature-filled alternative. Adobe Bridge is great for sorting and rating large batches of photos. If you need to sort photos and plan to do all of your editing work elsewhere, Bridge is a good choice. It integrates with Adobe Photoshop flawlessly. It is especially helpful when you have a large number of photos that need to be brought into Photoshop for editing. It's also great that you can do a lot of basic editing in Bridge, before it goes into Photoshop. It also works with Illustrator, though I've never used it for that. When I use Illustrator I will only work with one or two photos, if I use any photos at all. Because of that, I haven't really tested how well the Illustrator integration works. I suspect that it is probably as good as the Photoshop integration. I truthfully haven't found anything I dislike. It might not be helpful for people that don't need to work with a lot of photos, and if your computer isn't great it will run slow. Neither of those are really the fault of the software though. If you work with Photoshop, and you need to manage a large number of photos, it is a great program. It's included in the Creative Cloud suite, so if you already have the full suite, I recommend trying it out. I use it to manage bringing photos into Photoshop. It works better than bringing in each photo one by one. I found that if I'm only working with one or two photos, it doesn't really help my workflow, but if I have five or more it's a real time saver. "makes searching for files easy to do "
When you work as a designer among many other designers there are thousands of files on a drive that you have to look through to find something. It can be like searching for a needle in a haystack. Adobe bridge makes that easier because I am able to see almost all my files no matter what type they are. I can only see adobe files. I am unable to see my NedGraphics files which is unfortunate because so much of what I do is using that software. Just keep in mind that you cant preview all files. Some with different extensions wont work like extensions from Nedgraphics software. This software helps you save time finding files. It can literally save hours because you can see thumbnails of almost everything and so you can save time because you don't have to open each file individually by click on each thing. "Worry Free File Preview and Organization"
Two of my favorite capabilities of Bridge are fast previewing of large files (I'm able to preview files in speedy fashion, scanning quickly through photos, logos, icons etc sent by clients), and the ability to batch rename multiple files (when producing large print pieces, it's necessary to send the printer files as single pages; batch renaming allows me to quickly rename files with a name and order that makes sense for delivery). Bridge can be a little clunky to use. Folders that you've added to a favorites location (in the left-hand panel) can sometimes disappear, and it can be challenging navigating to a file folder location that you need, especially when working on different file server structures. I believe this could be solved by Adobe investing in creating a slightly better user experience for beginners to the program. I would consider training multiple employees on how to use Bridge, not just designers or those who use the other programs of the Adobe CC Suite on a daily basis. Bridge has a fairly shallow learning curve, making it rather easy for people to become adept in, and once there, maximizes time and project efficiency. Without Bridge, I would be less efficient at my job, and have less time to focus on the important aspects of my role. The designers in our company use Bridge on a daily basis, and I hope to soon have project managers trained in the program as well. It really solves our daily needs when producing large print and digital products, as we are able to scan quickly through files sent by clients, batch rename files to ready them for print sendoff, and organize project file and naming structures. Bridge has a fast load time, and is fairly easy to use, making it excellent and trainable for multiple job positions and responsibilities at any company. "Adobe Bridge an Awesome tool :)"
Adobe bridge is an awesome tool for each and every photographer. It is mainly helpful for photo editing purpose. Batch file editing can be done. If one picture or image is adjusted as per our required dimensions it can be applied to all other images or pictures with which re usability comes into picture. In the same way batch file renaming can also be done. We can rename all the files at a time. User friendly, easy to use, flexible also. Adobe bridge is very much different compared to Photoshop and illustrator a bit confusing also. In Photoshop also we do have many options to rasterize and modify the images but adobe bridge is very much batter for such things.For the beginners it takes time get habituated due to many updates and features with the software. Software is a bit expensive and space consumption comes into consideration. Yes i will recommend this software for my friends and colleagues. For the Photographers it is a nice tool batch renaming and batch file dimensions can be modified at a time. Photos can be edited, with the different options that we have in adobe bridge we can add many types of effects for the photos with which we can convert a normal picture to a beautiful one and create photo albums by this a person can earn money for their survival and grow their business easily with small investments. Adobe Bridge is a software that every photographer should use. The possibility of tagging and sorting pictures is its hidden gem. This way, you can separate what works for you from the rest. Batch rename is also a very useful feature, allowing you to rename multiple files at the same time. Also tagging. The system could be a little simpler for new users to get acquainted with. It is nothing absurd, but Adobe Bridge can get a little confusing if you are new to it. Batch export is also something that bothers me a little, it could be faster and lighter. Bridge is a must if you have thousands of pictures to work with and want to improve your workflow. I have a photography business and I can't function without Adobe Bridge. Nowadays, photographers are required to photograph more and more and in the end, you will need do choose and classify your pictures. Adobe Bridge is a time saver for photographers. I can't do my work without it. I spend many hours tagging and separating pictures and if I didn't have Bridge, doing what I do with the workload that I have, would be impossible. I run a small photography business and Bridge is absolutely a must have. "Adobe Bridge has made batch editing images a breeze"
The batch Photoshop feature, where you can open an image in Raw, make adjustments, and then copy and paste those same adjustments to all images. This saves so much time, and is even refined to spot adjustments, such as lightening a person's face--it will adjust that for each image when you copy and paste and select to include spot adjustments. I don't like the zoom feature when I'm trying to figure out if an image is in focus or not. I can't zoom and scroll through each image. When I zoom it is so far in that I find it difficult to figure out what part of the image it is. Then I have to close that image, and reopen the next one to zoom in and move the cursor around to see if it is in focus. I think this could be more refined and user friendly as well as add the feature to scroll from image to image while zoomed in. The only reason Adobe Bridge doesn't get full score for meeting requirements, is that we have to keyword our images, and have a tiered hierarchal keyword system, which only Photo Mechanic currently supports. We also use Photo Mechanic for tagging photos that we want to keep because it is easier to tell if the images are in focus with their zoom feature. Then we bring all the images into Bridge and make the Photoshop corrections and copy and paste onto the other images. Adobe Bridge has increased our workflow 100-fold. Before we used Bridge, we were having to Photoshop each image one by one. This way we can Photoshop 100 images in a second if they are all similarly photographed. I can't imagine working without using Adobe Bridge!!! It is a lifesaver! The batch rename feature is also great! It automatically recognizes the date shot so you don't have to enter those numbers in. The other batch feature that is exceptional is the batch processing. We work in RAW so once we're done making corrections, we can select all and batch process to save the images as jpegs in one fell swoop! Another helpful feature is the rating system. We mark images with a certain number of stars, and then can select to only view those images that have that certain number of stars. We have to turn around multiple images with lots of Photoshop and tweaks, and have found that sometimes we don't even need to open the image in Photoshop. We can use the healing/blending tool and spot adjustment tool right in Bridge, whereas before we had to open Photoshop to use the patch tool. This saves us so much time being able to do so much Photoshop work right in Bridge. We can get our computer work done quicker and get back to photographing! I enjoy that others in the office can open files in bridge without having access to programs like Illustrator, Photoshop, etc. Sending proofs to non-design employees has become much easier. The UI is a little outdated, but functionality is not affected. There's nothing you can lose by giving this program a try. Sending proofs internally is much faster, since we don't have to save as other formats. I can send an .indt file to an employee who doesn't work on design and they can open the product to preview with ease. Plus, vendors who send .ai or .psd files will get faster responses from employees in the office, because we don't have to convert the files for them! I like how easy it is to cull images and choose the best ones to edit. I love that you can "rate" your images. Or, if you "delete" one from Bridge, it just hides it so you can see what you have left. I honestly can't think of anything I dislike about it. It's super easy to use and I love it! It's very helpful when trying to sort through which images to edit. I love using it to see every image I took in a session. I use Photoshop to edit. I think if you use Lightroom, it automatically shows your "catalogs" which is similar to what Bridge does. So if you use Lightroom, you may not need Bridge. Editing photographs - I'm a photographer and Bridge makes sorting through and picking my favorites from each session a lot faster! It helps me to get my editing done much quicker. "Easy to Use File Explorer with SOOO MANY more capabilities!" If you are used to just using the simple file explorer that comes with your computer, Bridge will drastically improve your workflow process! It allows you to get a better view of the files without even having to open up the file in photoshop or illustrator as long as it is a file type that Adobe recognizes. Sorting and organizing is also a breeze with all the different flags and color codes that can be used. You can also edit very detailed metadata information right in bridge. Batch rename is also FANTASTIC! This is a great feature allowing you to create a whole series of rename processes more than just IMG_1 like usual. File organization. Great high resolution previews of files without having to open the files up in photoshop/illustrator/indesign. I also often use the batch rename process. We get files in from vendors without our item number alpha codes on the file name. Bridge batch rename makes it a snap to quickly add this code to the front of the name. It is also a helpful program to use if you want to know the camera details of how the image was shot. "Good Addition to the Adobe Suite"
I've always used Bridge, at the very minimum, to sort through raw images from my camera. Although it is appreciated, the rating/sorting system isn't much different than similar image previewing software like Google Photos or Mac's Photo application, but I think the most used feature that I find convenient is its nearly seamless integration with the other applications in the suite, specifically, Illustrator and Photoshop. For the purposes I need it for, I'd say I don't have any major qualms with the program. If I were nitpicking, I'd appreciate a preview included with the contact sheet options window. Because it is mostly included when you subscribe to Photoshop I'd say it is a good resource to have on hand. Bridge cuts down the time of editing and organizing images. It provides a more efficient way to root through hundreds of raw images from a shooting a way to batch edit if need be. "Adobe Bridge for Sorting and Starring"
Adobe Bridge is hands-down the best software for sorting and rating your collections of images. My workflow would not be nearly as fast if I couldn't rely on Bridge for making sense of thousands of photos. Along with sorting and rating, it also provides critical processes like batch renaming and completing batch actions through Photoshop. My one complaint about Bridge is that photos appear soft, even when the preview is fully loaded. This makes initial edits difficult when I am trying to weed out the images that are actually out of focus. If you need to be able to sort through large quantities of images, whether you're a professional photographer or a hobbyist, there is no other software that will enhance your initial workflow like Adobe Bridge. There are so many combinations by which you can sort - by time, by rating, by camera type, by lens, and many more. You can provide images with different colored labeling systems, or a combinations of labels and star ratings. It always saves and remembers your changes, so no need to worry about losing your progress. Adobe Bridge is the first software you need to open after any type of photo shoot. As a professional photographer, I have to sort through hundreds of images every week. I need to be able to sort them by time, by rating, by label, and Adobe Bridge allows me to do this almost effortlessly. "It's great for the right uses"
Works well for multi-users across servers, unlike Lightroom/C1/etc. It's an easy tool to use to make selects, color rate, etc, though unfortunately those settings aren't transferred to folders/finder. It works well for folder-organizational set ups. If you're approving or managing other people's work, the Filmstrip view is a good way to do quick previews. Ultimately, I feel like unless you're working across users/computers/on a server Lightroom can do most everything Bridge can, but more. Though it is marketed as a DAM, I can't really say it's a great one or an ideal solution. If you're looking for a cheap, multiuser organizational tool, give it a whirl. If you're a one person team just trying to organize a catalog, go for LightRoom or maybe even Capture One. Multi-computer/user use for organization. Loupe tool is nice for doing quick proofs of otherwise unorganized files. "Streamlined access to your assets for use in adobe products if you regularly work in them"
We use a lot of adobe products such after effects, character animate, animate etc. This application helps us to get access to our saved work and assets in every app without any hassle and more quickly than having to import and export each file on disk and then in other apps. It also helps us sell our artwork in adobe community and get paid for our work if users use our assets in their projects. Nothing so far as it helps us reduce the headaches related to saving/importing/exporting stuff every 5 seconds so great job! "Adobe Bridge is useful for managing libraries of images"
I like that I can see a visual library of my artwork files, rather than having to use Windows Explorer and the tiny thumbnails. Adobe Bridge can sometimes run quite slowly with large artwork files, but once it has made a thumbnail, it caches it. If you need to have a thumbnail view of large artwork files, Adobe Bridge is a useful utility. I have lots of artwork folders for lots of customers, and I use Adobe Bridge to help organize this artwork so I can go back to it and reuse it when a customer reorders. This saves me significant time and makes me more productive. I just began using this software over the last year and a half and I don't know what took me so long. It it such a convenient tool and I use it daily at work. I don't have many complaints about it. somtimes .png files don't always show a thumbnail preview and then have issues opening (I get error codes "cannot parse the file). "Everything that a designer might need!" The best feature of Bridge for me is how it sorts the content. The fact that it helps you see exactly what you want to see in a million other files. I can choose if I want to see only the .PSD's or .AI's among others. It helps not only in design field, it really usefull if you are doing any type of organization in your folders, especially if you are the type of person that downloads a lot of stuff, with this tool I can see all my files by type -for example- and I can delete them or move them in big baches without having too many things in the middle of it. The only thing I really wish is that it becomes a little lighter, also, I'm not a fan of the grey or black background but that's just my personal taste. I think it needs a redesign to step up like the other Adobe CC products have had. Give it a chance! Most designers that I know ignore how amazing and helpful this tool is. It's more that just a regular file explorer. As I work with photography sometimes, having the label feature is a life saving hack to separate the selected pictures of the client above the others without having to move them elsewhere, and at the same time make sure that you don't work with non-picked ones with the plus that you still have them right there in case you need an element to make an especific retouch in the photo. Adobe bridge is a fantastic tool to use with photoshop, for me it allows me to view my files before opening them. As a Windows user, Windows file viewer dose not show the content of Photoshop files. However by viewing all my files in Brige I can ensure that I am opening the correct version without having to open each file in Photoshop. What is also fantastic is Bridges ability to generate PDF contact sheets, if your like me and take hundreds of photos rather then just a few. Being able to print of contact sheets is a great way to filter through your photos and see which ones have potential. I do fined bridge a bit difficult to use. for me I don't finds the interface that intuitive, I had to what quite a few tutorials to find out how to use the tools that I needed. Being able to view Photoshop files in bridge is a great way of ensuring version control in large scale protects. Similar if we have to find archived items it allows us to sift through hundreds of files quickly. "Adobe Bridge can be a useful tool"
The best thing about Adobe Bridge is the ability to label, rate, star, or sort files on the fly. This makes it easy to select images quickly after a photoshoot, batch rename, and preview quickly due to image caching. I don't believe I've taken full advantage of the abilities of the software, but it has been beneficial for what I use it for. The image caching can take up a lot of space on your computer. If you're running low on space, it's best to clear your caches. Bridge is a great supplement to other adobe software and works good as a finder if you take the time to learn it and customize the settings to your liking. Adobe Bridge is useful for image filing after photoshoots, batch renaming, and organizing files. "Access to your support files and Adobe library in one convenient program"
As a designer and creative person, I'm not necessarily the best at organizing all of my files. Thankfully, I have Bridge to help navigate layouts, support files, folders at a glance more quickly and easily. Although Bridge is beneficial, sometimes it's not quite a necessary software app for me. At least, not on a daily basis like the rest of Adobe Creative Suite. For my usage, sometimes Bridge seems to be a more intuitive version of the various Finder window views when I'm needing a quick overview of all the files on my Desktop. When used on a more regular basis, Bridge does allow me to save time throughout the workday/week. Having all my files organized and in front of me through Bridge helps manage time more efficiently. As opposed to searching folder after folder and server after server to locate files that I need. "One of the best programs for editing raw images." I like all the options available for editing raw images. The multiple features available for tweaking, like temperature, clarity, whites, etc. are exactly what editors and photographers need to subtly better images and drastically alter the looks of images. It may seem small, but I really wish the undo/redo features were better on Bridge. A few of the brush features aren't able to do undo/redo, which requires the editor to completely delete the previous work and then redo it completely. I do also think it would be nice to have masking features in Bridge, like there are in Photoshop. That way, a majority of the editing could be done in just Bridge instead of using both Bridge and Photoshop together to edit a photo. I also wish the size of the brush could go smaller when editing. Many times, even when zoomed in as far as you can for fine tweaking, the brushes don't go small enough. Definitely start with Bridge for editing, but after all edits are made in Adobe Bridge, make your final edits in Adobe Photoshop, as they can be better for overall photo tweaks, using high pass frequency. We do several studio shoots both in our studio and outside, and Bridge is primarily what we use to edit our photos and get them back to the advisors edited exactly how they want them. We've definitely seen the benefits from using Bridge to edit our photos. "I use Bridge every day"
Bridge is an excellent digital asset management software which acts also as a hub for all of Adobe Creative Suite. I normally use it to peruse photos that i've shot for clients or fine art projects and then open them in Adobe photoshop. I love the merge feature, which does a great job of creating panoramas from multiple images. I prefer it to Adobe Lightroom. It's simple and it works, very handy app . I could not find how to force it to open images in photoshop 8, rather than the update, photoshop 9, in other words to change the default application for opening raw image and jpegs. If you are using creative suite, yes, use bridge, it's a great starting point to your workflow and a helpful organizational tool. I've been using it for years. primarily the viewing, sorting and tagging of images and directing digital assets to be opened in the appropriate software for editing. "Excellent tool for viewing and manipulating multiple files"
1. The ability to see multiple files at the same time. I use Bridge to sort through a folder of images, looking for just the right ones I need. Once I find a file I like, I can simply double-click to open it and start working with it. 2. You can also use Bridge to do quick and easy batch renaming. We have standard files for each project we work on that are templates, so when it comes time to work on them for an individual project, I can easily select the files in Bridge and rename them all at once—all the while keeping parts of the name that are important to individual files. Every once in a while, it can be a bit tricky to find certain files within the program as it works differently than other Adobe programs. But that's a minor thing. "Great for those who shoot RAW and don't have Lightroom"
Adobe Bridge comes with most Photoshop software. So basically it's free. And you can use it to create multi page pdf's too. You can't edit images in lots and you can't use it for culling your images. If you already have Photoshop, then check online all the ways you can use Bridge to make your life easier. It's a little hidden gem of a software program! I use Bridge to make multiple page pdf's of my digital brochures. This is a great asset for me since as a photographer, my clients like to be able to view and download a price list on my website. Also good when you need to edit just one RAW file. Bridge has become so intuitive for me because it's basic and easy to use, and perfect for organizing tons of photos and project assets. I like the ability to quickly rename files, sort through hundreds of images easily and seamlessly, and view vector stock as well as photos. Recent changes to the software have resulted in no longer being able to cleanly batch actions to selected images; I really liked the ability to apply Photoshop actions directly in Bridge, but it is now either missing or hidden very well! You can do a lot more in Lightroom. There's no denying that. However, I've been a pro designer for 20-odd years, and I've been using Bridge for a VERY long time. As a basic, trusty tool for organizing and batching assets for projects, Bridge works wonderfully. It's simplicity is really its strength. I find it an invaluable asset for stock images, project assets, and the mountains of support files for my projects. Renaming assets for video projects and digital display screens - I'm able to organize files without having to create tons of nested folders - my files can be neatly renamed, sequenced, and organized in one single folder. "ABSOLUTE MUST ! THE BEST time saver"
I LOVE adobe camera raw. i love that i can review and rate the photos, and color code. i love that it is so easy to use and the preview function will tell you the camera settings on the side, presets are also awesome. batching is so useful. presets are so useful! I love that in the filter section of review you are able to select a group of photos with only that setting, for example if you shoot different days, you can select only one day to make it easy to differentiate what edits need to be done, its perfect for when you use the same card for different events. there really isnt any thing i dislike about the program, but if i could i would like the ratings to extend over to finder on my mac, I think the program is really really well put together, if i could buy it as a standalone product i might have it only and skip photoshop. I use bridge a TON. It is very vital to my work. Do not skip this fab program. it is very useful tool. i am able to quickly cull and edit raws using adobe camera raw and then batch. Batching is my absolute savior i am able to get alot done, while not even sitting at my computer. "Adobe Bridge- Great Software for Organization"
What I like the best about Adobe Bridge is the ability organize your projects so that you have access to files and pictures for one particular project. I also like the idea that you can use bridge to access the adobe website for fonts, and pictures. I also like that you can use a filter to narrow down your search. Users should know that this is not really a stand alone product. This product should be purchased in a bundle. As I do with all products, I think the user should have some type of training to gain the full benefits of the product.. I use Adobe Bridge for Graphic Design projects. When I am working with someone that has multiple project request, Adobe Bridge is used to help keep the projects organized. I also use Adobe Bridge to search for clip art and photos to use in project that I am working on. Its handy tool to have connected to the Adobe Software. So I the major benefit is accessibility. .
"Proof Pages and File Review is a Breeze!" Love the ability to flip through folders of images or files and review, and select and build pages for a proof sheet to share. Extremely helpful for managing photos. The only thing I dislike is that I have not had enough time to really plunge deeply into all of the possibilities this software provides! Really is worth it for anyone who works with large amounts of file and images, and needs to manage, review or sort them. Makes putting together a contact sheet a breeze, and interfaces with the latest PhotoShop version. Allows us to quickly assess client-provided images for resolution, size, etc. without having to open every single one. And then we can easily provide back a contact sheet of just the images needing attention. "Bridge is a great way to manage photos in an organized and multi-use manner." I love the starring system and color coding for files. It makes it so easy to separate, group, and filter photos without even moving them. I also love the ability to view and edit metadata on photos. Batch Editing file names is also so easy with Bridge! Bridge often takes far too long to load all of the thumbnails in a folder. I am a photographer and use bridge for folders with thousands of photos each, and it takes up to 20 minutes to load all the thumbnails of my images. I know part of that is my computer's problem, but Bridge definitely seems to take up a lot of Ram. I recommend that anyone who uses Bridge take advantage of the Batch Renaming, Starring system, Color Coding images, and editing Metadata. Bridge is so useful and it makes organizing and editing faster and easier. We are using Bridge to organize current and archival folders of photos. We use the starring capability to designate— on a scale of one to 5 stars— which photos are usable (*), to which photos should absolutely be used and/or published in print or media capacity (*****). We also used the coloring system to mark which photos have already been used. We use the metadata section to make particularly special or useful images searchable. "Robust Library that Connects All"
Adobe Bridge is a library of all things creative. I love that I can sync, link, and manage all my creative files in one place. It reduces the task of searching for all my files through my native device and it also allows me to retrieve my files through the cloud. I think what I enjoyed most, however, is the sharing of symbol libraries. This allowed remote teams to have access to my latest collection of UIs developed for my project. Everyone in the design team was always on the same page with the design execution that discrepancies lessened. With an application like this, the system gets overwhelmed with multiple options. This is not something of a surprise because Adobe is well-known for its robust products (Adobe Illustrator, Adobe, Dreamweaver, Adobe Photoshop...) I try to stick with the basic tools that are necessary for my day-to-day task but seeing those options lie around in my periphery can be just as overwhelming. So getting to understand the use of those tools would be my number 1 challenge. Adobe Bridge is a great tool for asset management but I think it's a little too overwhelming. I would prefer something a bit more lightweight. If you can get past the clutter of the additional tools, Adobe Bridge is still a decent management application. As I mentioned above, Adobe Bridge allowed me to stay in-sync with my remote team. We are a global team working from 6 different international and domestic locations so updates do not happen frequently enough to prevent design discrepancies. With Adobe Bridge, we closed the gap on this issue and improve our collaborative efforts. "A great alternative to your finder window"
I like the ease of use! My favorite part of Bridge is being able to easily search through thousands of pictures with keywords. As a current PC user, I can get extremely annoyed with how long it can take to find a picture in explorer, Bridge is a wonderful alternative. There's not much to dislike. Bridge is an amazing program to use - especially when you have other Adobe products. Take the leap! It's worth it in just the time you'll save if you have a large photo library. It is far more efficient to use Bridge over a finder or explorer window. The search tool and how fast the program runs are super beneficial. "Video Asset Management with Previews"
I like that Adobe Bridge can manage video asset files just like image files, helping to navigate through my stock footage folder. This saves me time. The color scheme of Adobe Bridge is kind of bizarre, and not in keeping with the rest of the Adobe Creative Suite, which is strange as there is a cohesive style between the rest of the applications. Not all video formats work well with Adobe Bridge, but if you use standard formats like H264, you will be fine with Adobe Bridge. I use Adobe Bridge to help index and navigate my large library of stock video footage. This helps me save time finding videos, which ultimately makes me more productive and lets me work on projects for longer and create better results. "Great Program For Managing Digital Asset Catalog"
The fact that it comes WITH my existing Adobe subscription, and that I don't have to overpay for other Digital Asset Management software. I can see previews of all native Adobe file formats without having to open them, and use keywords and filtering to find what I am looking for even if I don't know what exactly that it. The program can be updated TOO fast, and can sometimes crash for no reason. Sometimes in larger catalogs it can take unreasonable long to get previews of media. "Used everyday for 10 years and counting!" I like that Adobe Bridge is intuitive. It's easy to navigate and cull my images. I've tried other software for this in the past and nothing compares. It may not be a one-stop shop like Lightroom, but I've found it to be the easiest and quickest platform for organizing, renaming, tagging and viewing my images. Nothing else that I know of compares. I dislike that I can't edit in a fine-tuned way within the software. I realize I can apply presets via Camera Raw (Photoshop) within Bridge, but unless there's something I'm unaware of, I'm still unable to edit images in subtle and specific ways re: exposure, contrast, etc. I loathe the complexities of Lightroom, but feel Bridge could make a few upgrades and be the better, easier, more intuitive version of Lightroom for photographers! Go for it. My assumption is it's the most widely used software for culling and organizing images. It's so much faster than using Finder on Mac and far less complicated and more intuitive than platforms like Lightroom. Cheap too! I use Bridge to cull my clients' images (separate the good from the bad), sort them, rename them, label them, and distinguish which images were shot on my camera and which were shot on my second shooters and assistants' cameras. I use Bridge to rate my images, check my camera settings, rotate my images from portrait to landscape orientation, etc. All of these things are necessary for creating a quality product for my clients. Business problems solved. "The best solution for navigating and rating all of your creative assets "
Adobe has left the interface alone when it comes to bridge. While it is customizable bridge looks dated in comparison to the rest of the creative suite. Bridge is your best solution when you need to manage multiple file types for a project. However if you need more than desktop file management and rating I would recommend software that is specific to the media with more powerful editing capabilities. Bridge is the solution for navigating media assets in one window. This is a huge timesaver while working on projects that require multiple media types or from multiple vendors. A fantastic desktop digital asset management application. "Great for Photo Gurus "
It's easy to catalog and organize large batches of images into different categories. Also it's easy to add metadata to all of your images at once. I would say this product is very helpful for those who are working in the photography world or on photography projects. I can't think of anything that i dislike about this product. It's easy and effective and it gets the job done in a quick and easy way. This program is definitely easy for beginnings and isn't like learning another language compared to some of Adobe's other projects. Bridge has solved my issue of organizing my images. Im able to rate the images and sort in a quick and effective way. The program is really easy to learn and takes less time to learn the program then what others may think. "Adobe Bridge is a key part of my workflow as a University Photographer." What I like best about Adobe Bridge is the ability to Batch Rename a large number of images at once. Sometimes it's 10-20 images, other times it's 100-200 images, and being able to rename those files as well as customize the New Filenames area is significant to my workflow. I also like the ability to keyword my images which is important to the archival and digital asset management systems. What I dislike about Adobe Bridge is that I wasn't aware of it earlier! Before utilizing the program I would rename everything manually and sometimes run into issues. Also, I wasn't keywording my images like they needed to. I should have been introduced to Adobe Bridge at the same as Adobe Photoshop and Lightroom. I highly recommend exploring Adobe Bridge and thoroughly learning what it's capable of in order to best utilize it as a tool. The biggest business problem I'm solving with Adobe Bridge is keywording. Applying those keywords to images is significant since there are other individuals navigating the digital asset management system to locate images. Without keywords, those individuals would have to contact me, ask me about particular images, and then I would locate them. Utilizing Adobe Bridge empowers others. Adobe Bridge is an easy and useful program to use for sorting pictures. Even though I haven't reached the potential it offers, I really enjoy using Bridge when I need to categorize images I have in a file. And you are able to open up images from Bridge straight into Photoshop as well. I haven't used it enough to know all the features it offers, so I can't say at this point that there is anything I dislike. This a great software for locating and organizing image files. You might think that it's just as easy to do this without Bridge, but Bridge works great in compatibility with other Adobe programs. When I need to use pictures that I take for my job, I like to sort through the good and bad ones in Bridge. Once I sort them out, I'm able to save the good ones in a separate folder for later use. This is a great platform for organizing photos and connecting straight to Photoshop. "The Best Photo Organizer / Viewer out there!" Ease of use - intuitive layout, view options. Easy Batch rename + easy "undo" capabilities. Sometimes slow load times. When previewing an image, it seems sometimes to pixellate, suspend load, and then freeze up when trying to select a different photo. This however, is minor in comparision to the robust options and abilities of this program. Experiment with different view options / explore the metadata info on the left column - it can be very helpful when searching for a specific photo, or using it to specify moments in time. Easy to create photo merges (AKA panoramic photos) with export to Photoshop. "Adobe Bridge Is An Essential Tool For Graphic Designers"
With Bridge, I can preview all of my Photoshop and Illustrator files without having to open up each individual file. I have a ton of files, so when I have to find a specific file, I can do so really quick. Adobe also recently made Bridge free for everyone. So if you have an older version of their software suites, this could be a valuable tool for you. One of the best features is the ability to edit your RAW camera files before you export them to Photoshop or Lightroom. I really don't have any issues with Bridge. You can't use Bridge to preview Microsoft Word documents, but I am fine with that. I don't use Word very often with my design work unless I am working on a project that requires a Word document. You can use Bridge to preview a wide variety of other file types including AutoCAD, Coreldraw, and Freehand files (If you still use Freehand). All of those will open in Illustrator if you have Illustrator installed on your machine. I have solved a number of problems using Bridge at work. I can quickly open the files that I need, which in turn speeds up my workflow. "Bridge does the job, but could be a lot cleaner"
What I like most about bridge is the labeling system and the filtering. The labeling/rating ability that DSLR cameras have is imported into bridge so I know exactly what photos I preferred in camera. The multiple ways of filtering photos to narrow them down is excellent. Bridge makes it easy to sort photos by color profile, lens, camera, by date created, etc. I dislike the ease of use. The program seems clunky and hasn't been updated in a long time. Other editing programs like Photo Mechanic are more intuitive to use and have less window panes showing at once. There are many things to figure out in terms of all it can do. Take your time to learn the program, as with all Adobe products, and you'll pick it up. This program is great for photo editing, but my main use of it is to open JPG images in Adobe's camera raw window. As an editor I sometimes get jpg images that need major toning and being able to open them in camera raw through Bridge has been a life saver. "Digital Management - Great for graphics library"
I like that Adobe Bridge lets me search for assets in my library using various metadata e.g. title, dimensions etc. I don't like the user interface for Adobe Bridge. I would prefer it if the styling was more in keeping with Windows Explorer. For example, the font size appears unusual and is not pleasing to the eye. As with all Adobe products, you will need a fast computer with a SSD drive to make this software perform well. I use Adobe Bridge to manage my library of graphical assets. I can use Adobe Bridge to search for files of a particular size, taken with a specific camera, or with specific keywords. It saves me time and helps me to keep more organized. * We monitor all Adobe Bridge reviews to prevent fraudulent reviews and keep review quality high. We do not post reviews by company employees or direct competitors. Validated reviews require the user to submit a screenshot of the product containing their user ID, in order to verify a user is an actual user of the product. Hi there! Are you looking to implement a solution like Bridge?